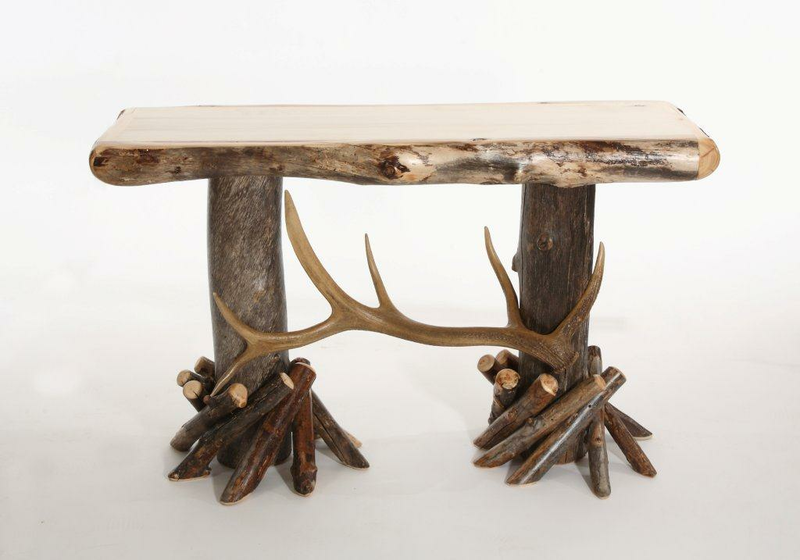 The Burly Bears- Elk Mountain Aspen Sofa Table features massive log posts with knarls and knots accented with a beautiful elk antler. 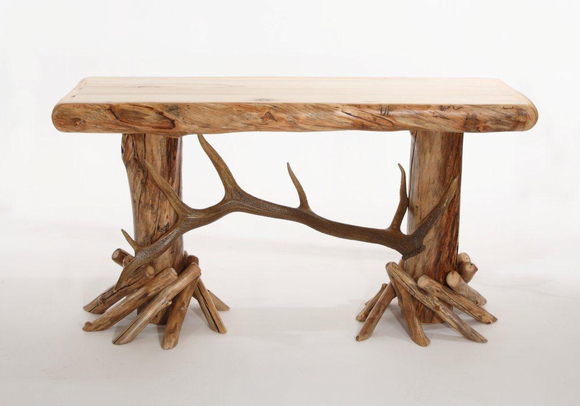 This table is a truly awesome piece!! 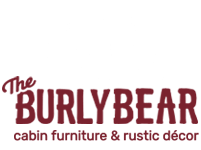 Great for any room and can be made in light wood(pictured) or dark wood-see inset.Aprox.Measurements 34" High 52" long x 22" deep. ( Can be made to different dimesions call or email for quote). Made in The USA. Please allow 4-6 weeks for delivery. Cannot ship to Alaska, Hawaii, or Canada.